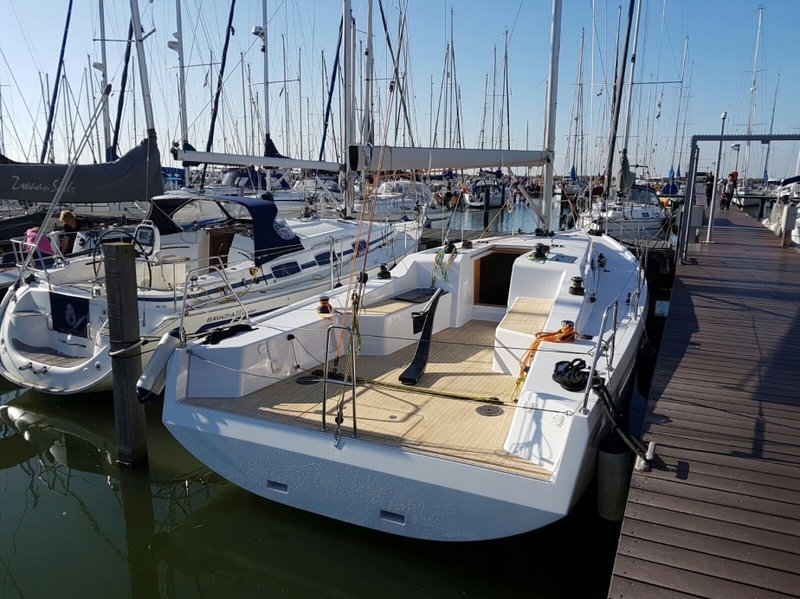 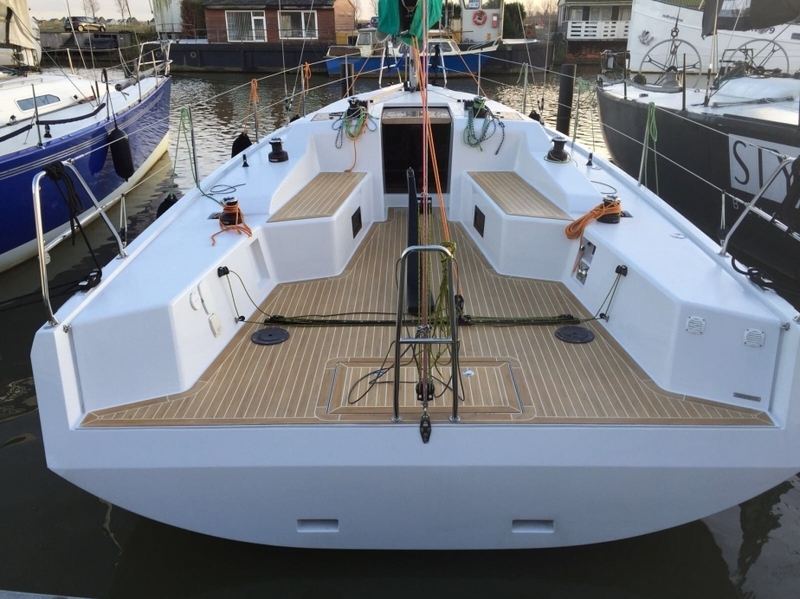 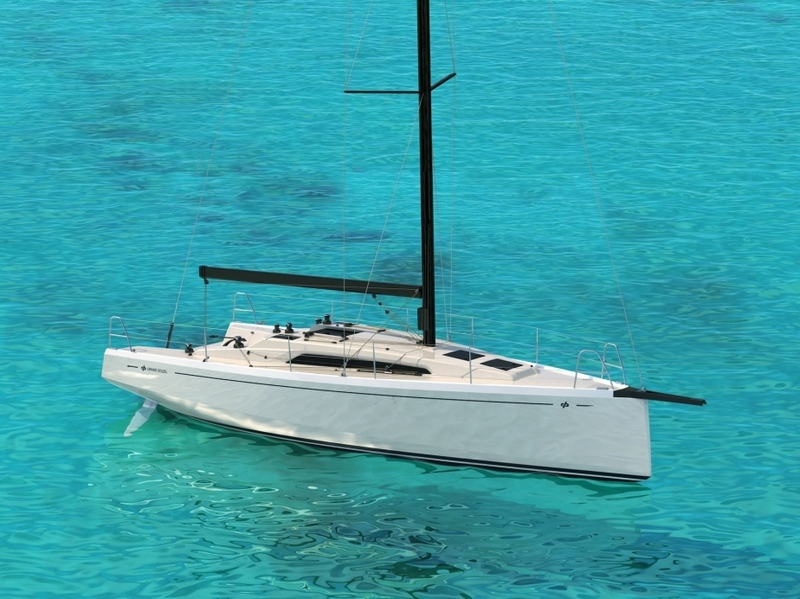 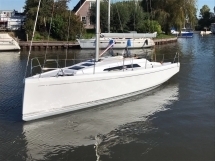 The GS34 is aimed at owners who love fun, sportive cruising and offshore racing, and was inspired by the open ocean boats. 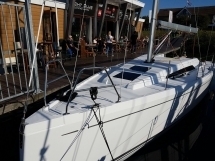 Great attention was put in the design and naval architecture process in order to create an offshore racing boat that is easy to sail at maximum performance but at the same time a very comfortable fast cruiser. 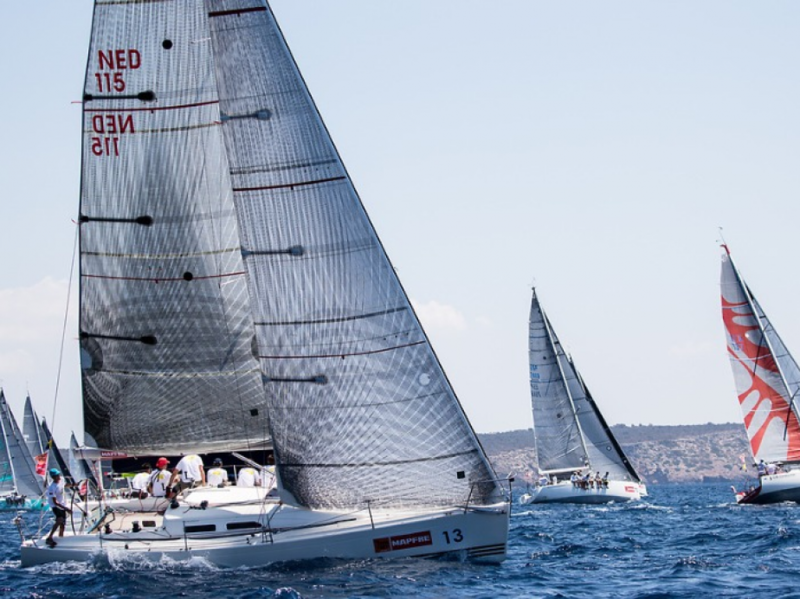 The new GS 34 Performance was designed for IRC handicap rating in offshore race and for ORC with an optimized sail plan and appendages. In this way the boat can be competitive in both offshore and inshore International regulations and with a great rating handicap. 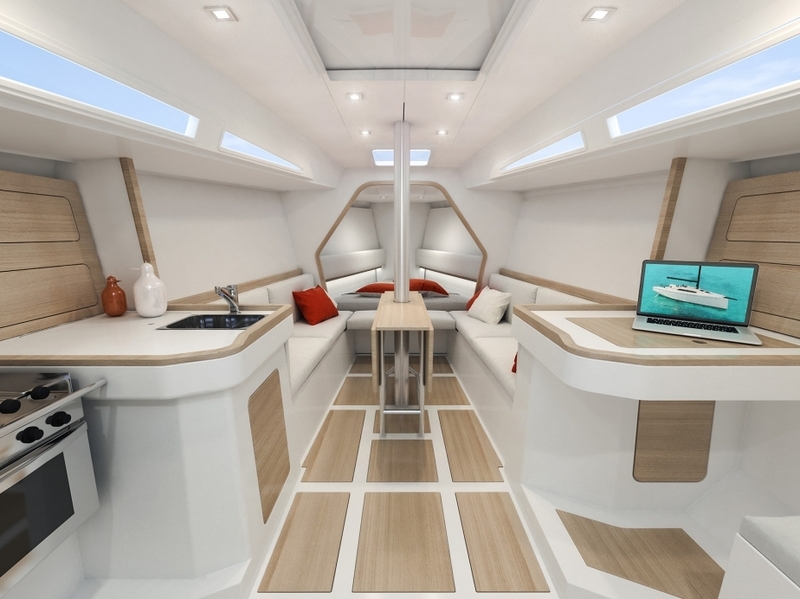 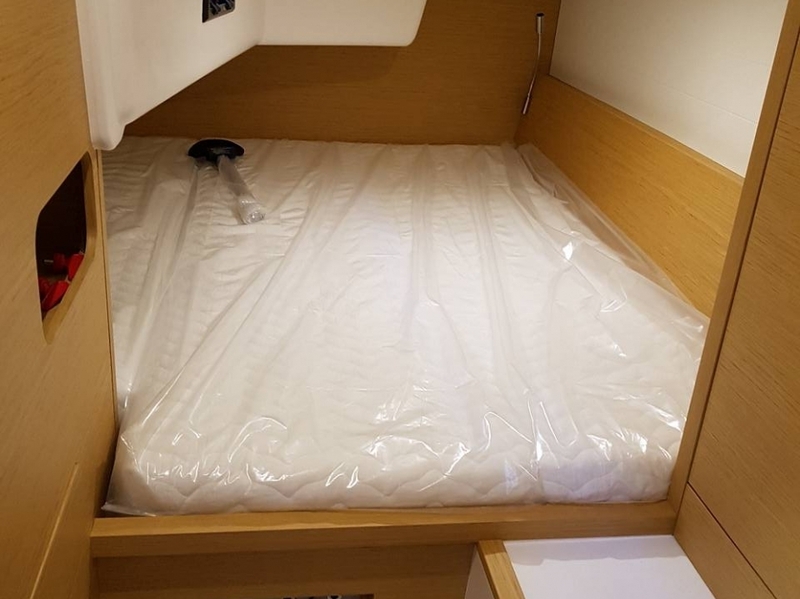 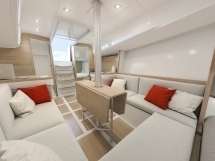 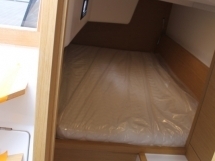 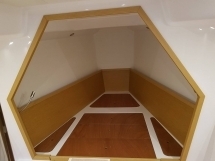 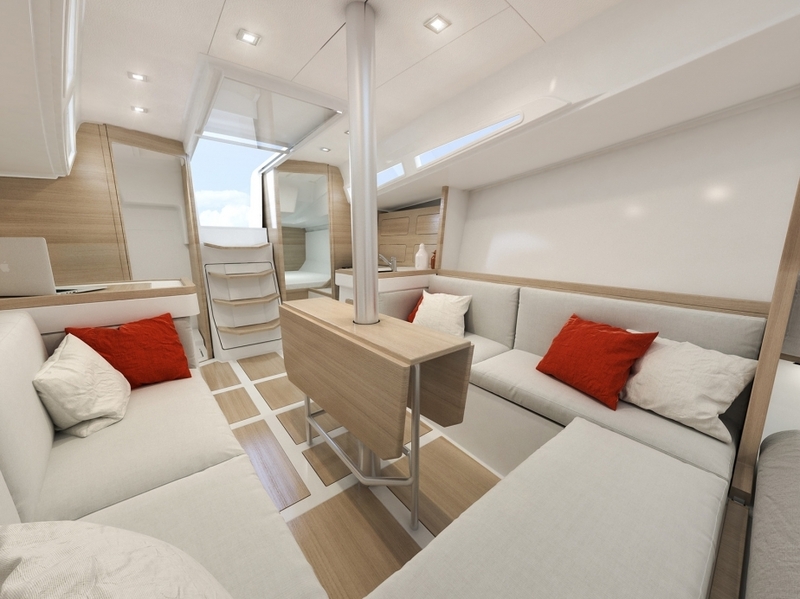 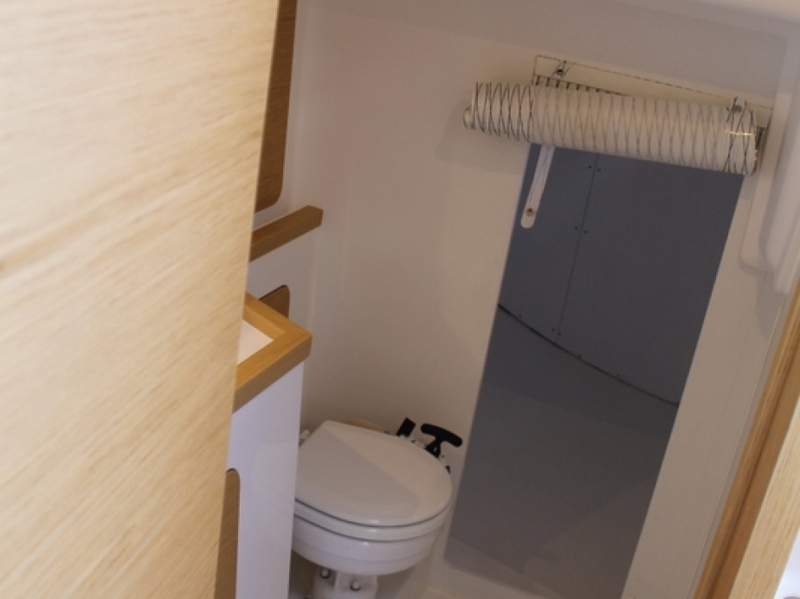 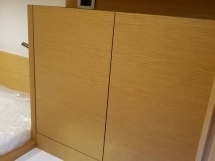 The interior layout is divided in two cabins; a large portside aft cabin and an owner cabin in the bow that can be transformed into a sail locker during race. 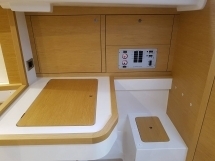 Astern, on the starboard side there’s a very spacey and high head and behind a wide storage cabin. 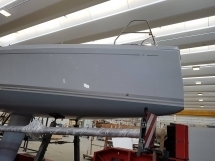 The typical IRC fin shaped keel with a total draft of 2.18 mt is made of lead with steel and casting iron and weights between 40% to 45% of the displacement, depending on the owner’s need. 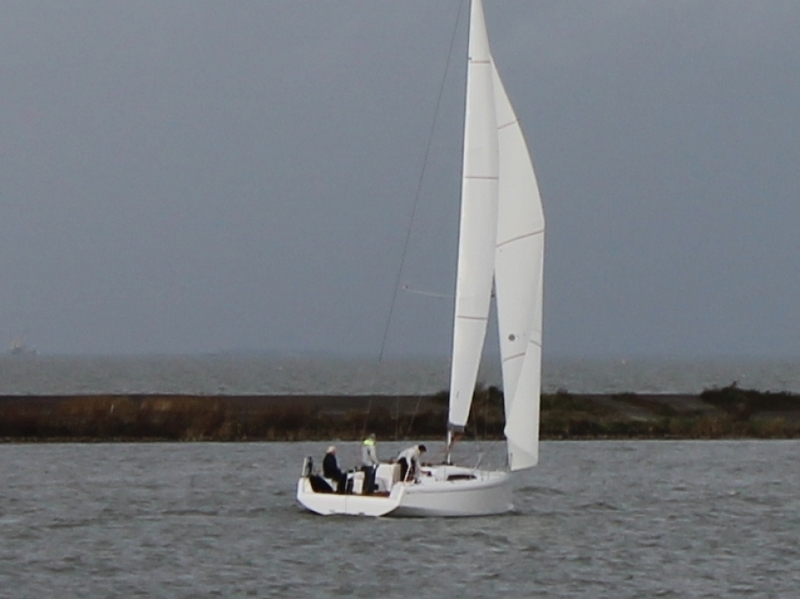 The weight remains in the lower zone by moving the center of gravity of the keel as low as possible. 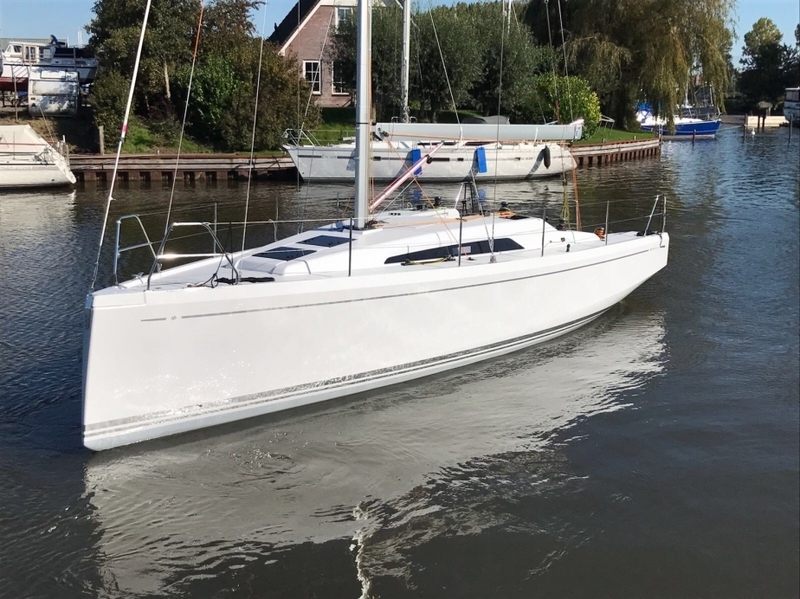 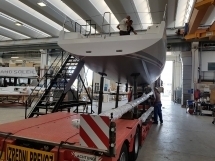 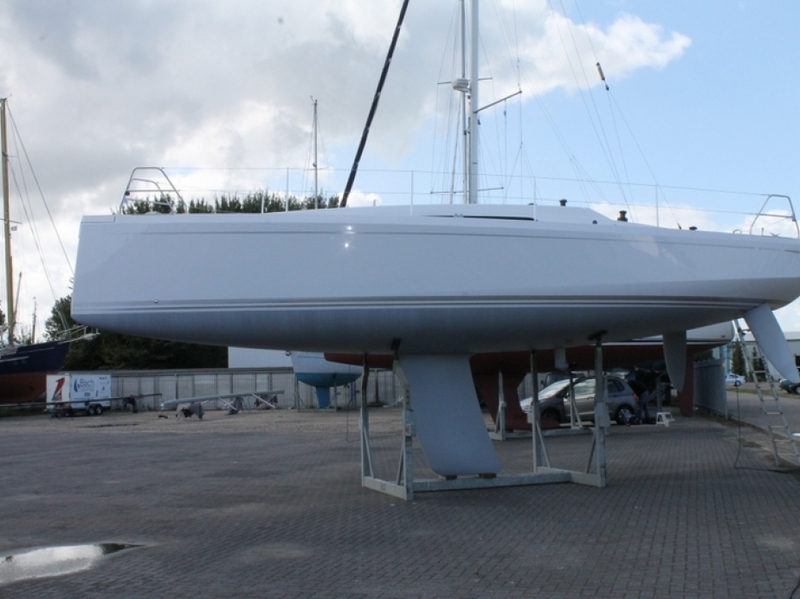 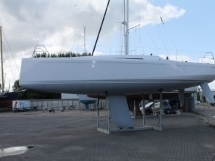 The twin rudders are a suitable choice for this type of vessel and for the IRC rating system, while the tilted axes allow always an effective helming and easy sailing. 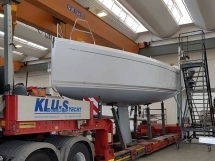 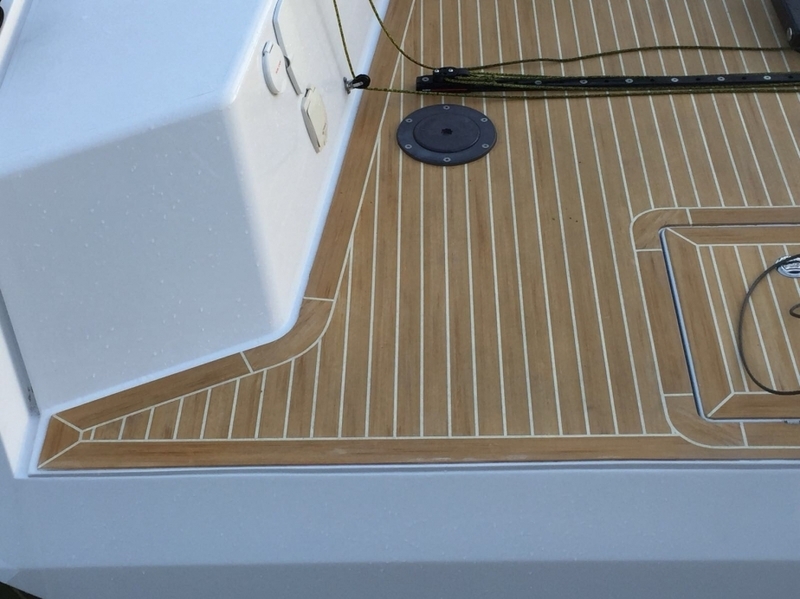 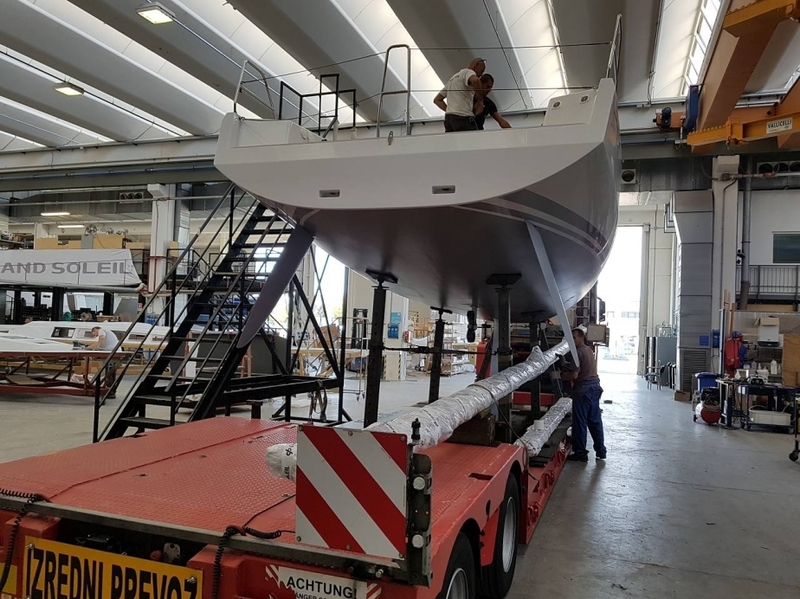 The particular geometry of the GS34 hull allows to have very powerful waterlines, hard-chine and a wide transom, which benefit sailing downwind and when heeling. The wide stern ensures a great stability of form while providing a bigger space in the cockpit and inside. 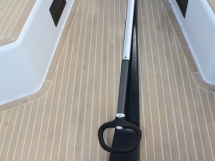 main bulkheads are made in composite materials and all the bulkheads are laminated to the hull. The interior layout is divided in two cabins; a large portside aft cabin and an owner cabin in the bow that can be transformed into a sail locker during race. 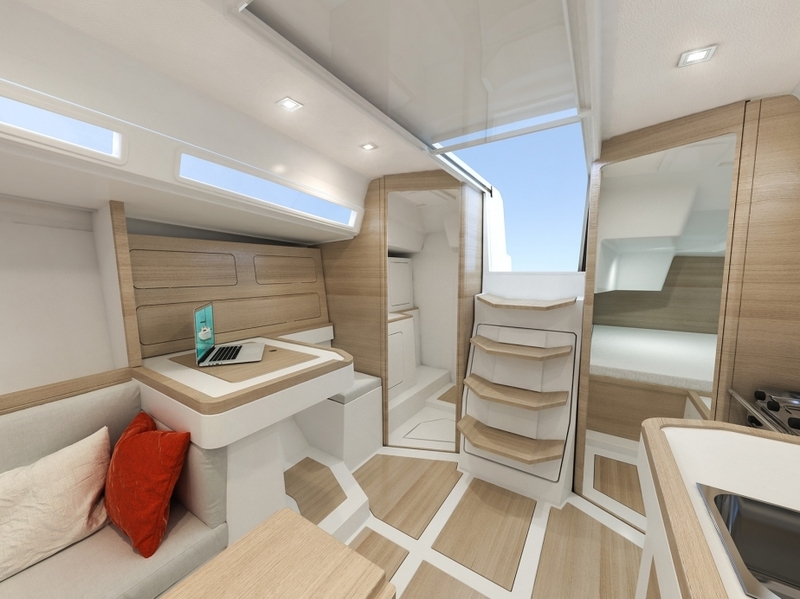 Behind the head is a wide storage cabin. 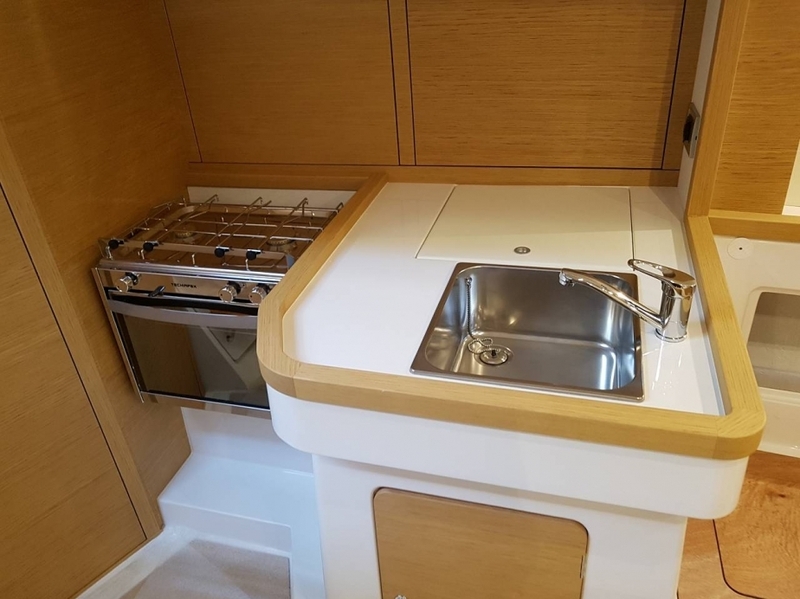 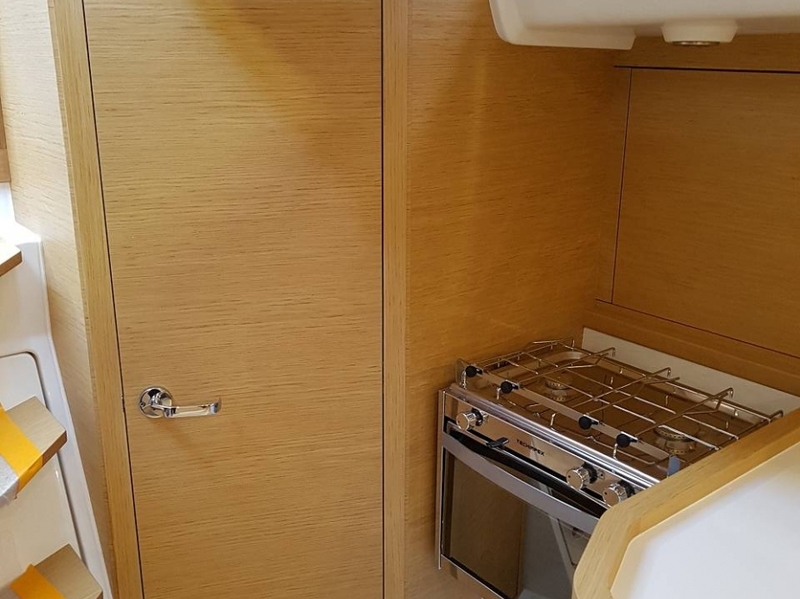 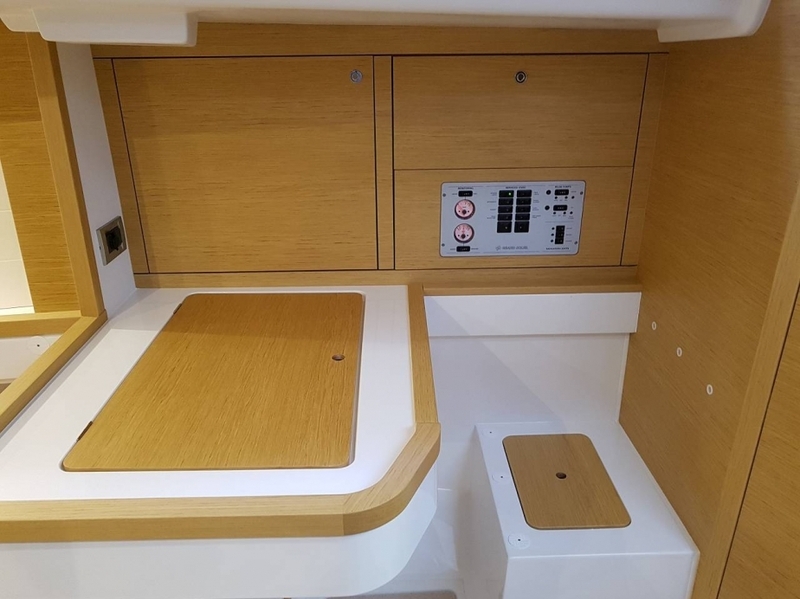 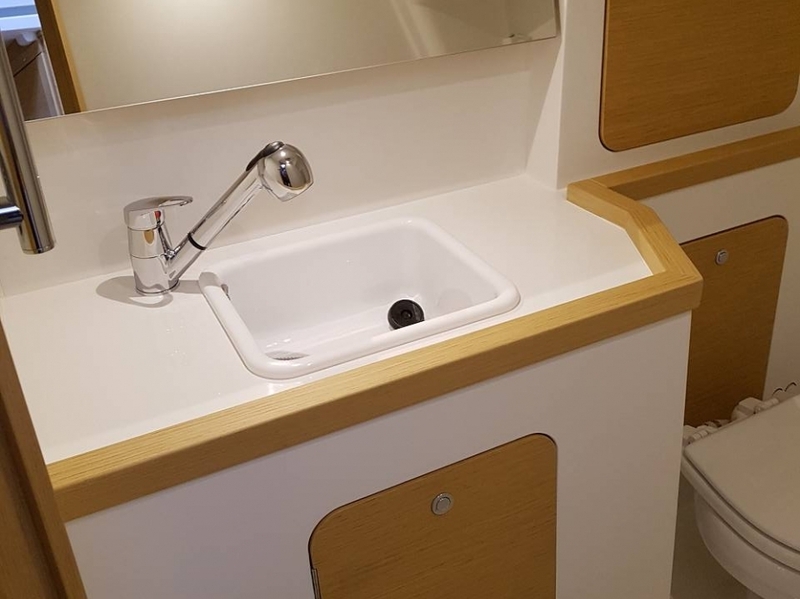 The central dinette with a large dining table and seats can be easily transformed into extra berth during race or cruising with extra guests. 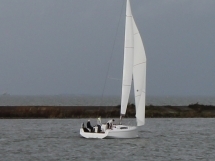 sailing or shorthanded when cruising or racing. 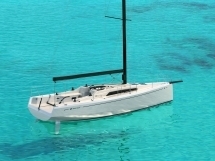 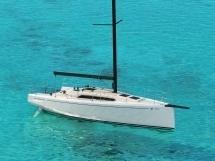 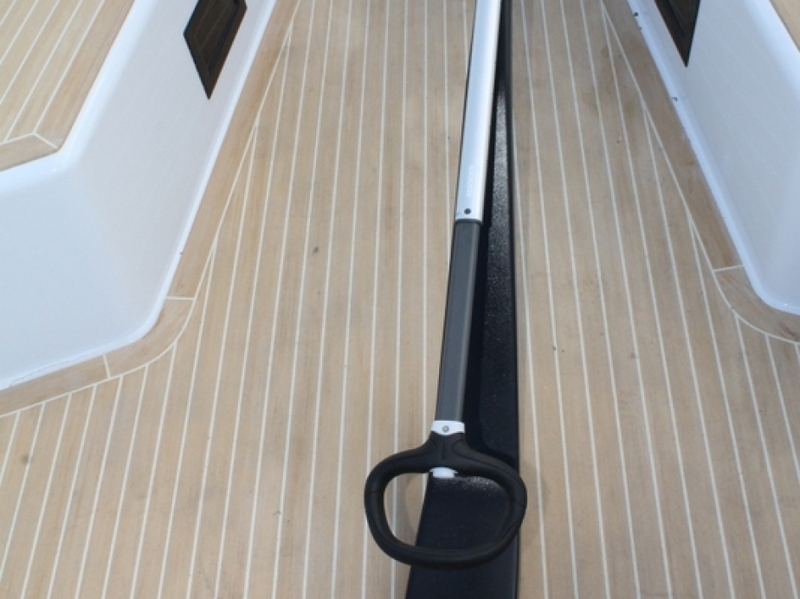 The deck provides a steering tiller with a main sail track adjustable through a cascade, and is located towards the stern. 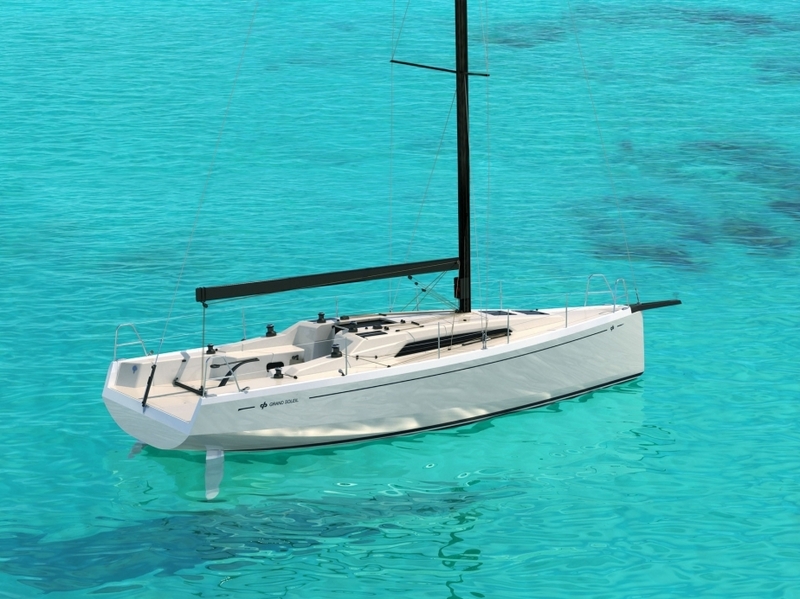 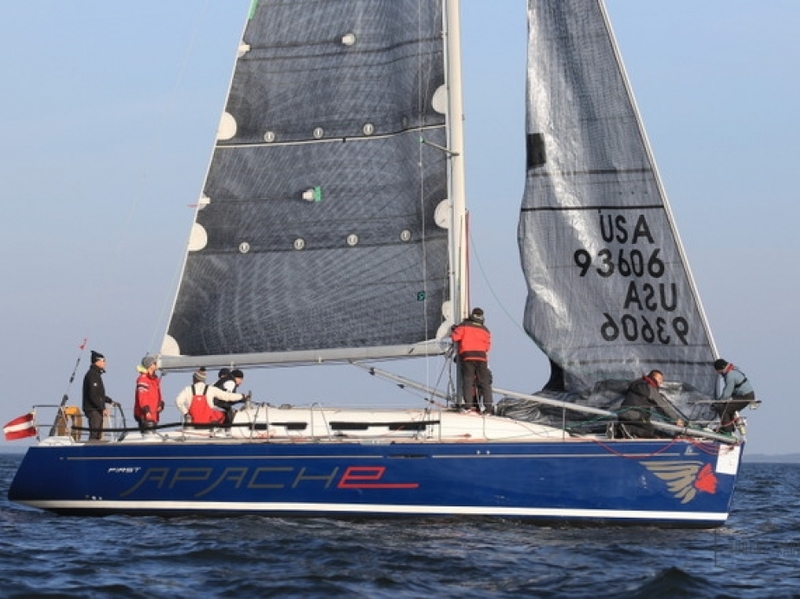 This choice is common for those who love offshore regattas with a reduced crew. 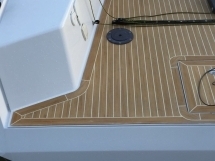 2 further winches are provided for the German system recessed under deck. 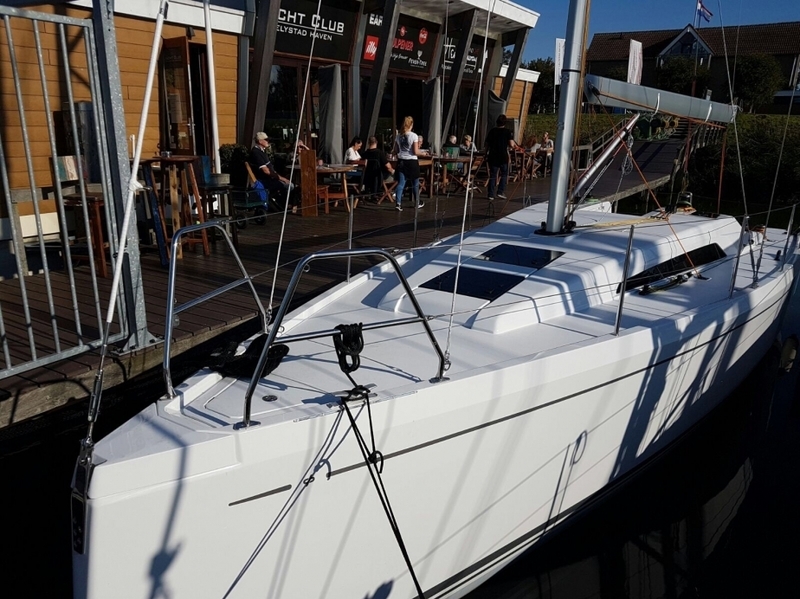 The mast is made of aluminum with high performance tapered profile 9/10 fractional rig, with two sweepback spreaders in order to maximize jib roach, and a 9/10 forestay. 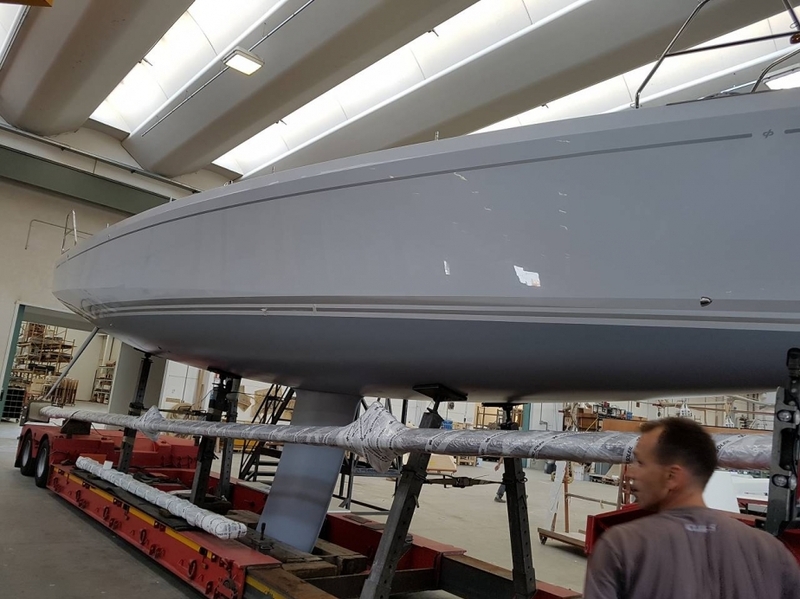 The standing rigging are attached to the shrouds chain plates which are located in the max hull beam, which allow to mount a Jib (from 28 to 32 square meters) with a minimum overlap.